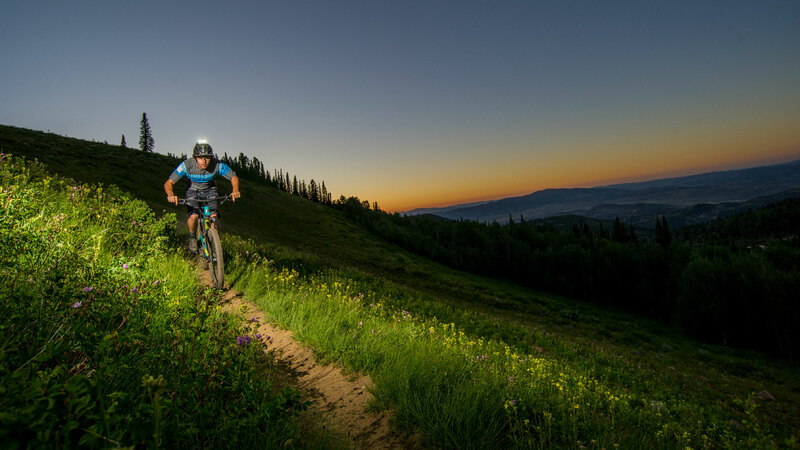 If you're looking for a different perspective on mountain biking, check out our three-hour guided bike tour at night. Sponsored by Light & Motion bike lights, this tour fully prepares you for riding in the dark and your need to be hyper-focused on the trail ahead. Our local guides will make sure you're comfortable riding at night by sharing their tips for safety on the trail. Handlebar and helmet-mounted lights, a full-suspension mountain bike and complimentary water bottle are included in the price of the tour.